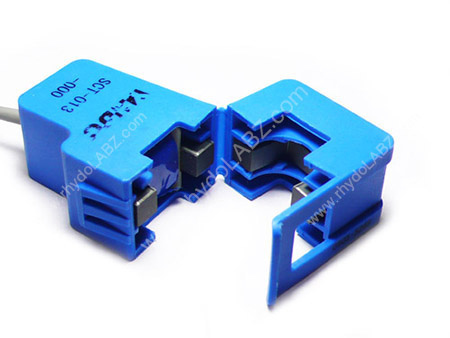 Description: Non-invasive current transformer, use this sensor clip to build your own Personal Energy Monitor. Suitable for current measuring, monitoring and protection of AC motors,lighting equipment, air compressor etc. Current transformers (CTs) are sensors that are used for measuring alternating current. They are particularly useful for measuring whole building electricity consumption (or generation for that matter). The split core type is particularly suitable for DIY use it can be clipped straight on to either the live or neutral wire coming into the building without having to do any high voltage electrical work.